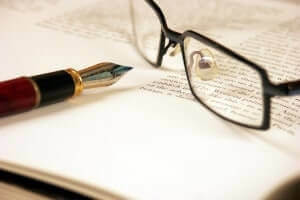 The Ultimate Proofreader is the UK’s leading provider of in-depth essay, thesis and dissertation proofreading services. We also specialise in editing and proofreading other types of academic and scholarly papers, including peer-reviewed journals and research proposals. Our academic proofreading services are designed by experts to help ESL and native MA & PhD students, academics, researchers, professors and writers of journal articles with all their proofreading and editing needs. Our essay and thesis/dissertation services start from £9.50 per 1,000 words and are charged at a fixed rate, regardless of the length or complexity of your document. We also operate 24 hours a day, including on public holidays, to provide our student and academic clients with efficient and quick turnaround times and 24/7 customer support with their assignments throughout the year. The In-depth Dissertation Editing Service is the most intensive and rigorous dissertation proofreading service we provide. 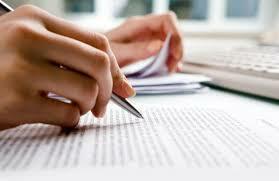 It is a combination of both thorough proofreading and profound copy-editing. We also provide unique and outstanding editing and proofreading services for book authors, playwrights, journalists, columnists, professionals and businesses. Our academic editors and proofreaders are not only native English language experts but they have a proven track record and at least 20 years' experience in proofreading and editing dissertations, essays, journals and other academic papers. Unlike other companies, we only use human editors with specialist knowledge and background to proofread and edit your paper. We never use machine-based proofreading. We provide our proofreading services & editing services as quickly as possible to help you meet your deadline but without affecting the quality of our service. We accept orders with tight deadlines and short notice and provide express delivery service upon request. To find out more about exact turnaround times, read the FAQs section below or send us an email. 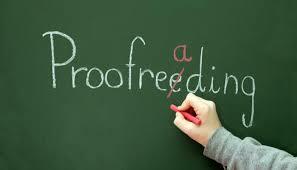 Our academic proofreading and editing services prices are fair and transparent. We do not charge any hidden fees and all our quotes and prices are final and inclusive of VAT.We charge flat and fixed rates. Whether your document is long or short, complex or easy, you will be charged the same rate. We also offer a 10% discount for those placing a proofreading or editing order with us for the first time. Order: If you want to send us an essay, a dissertation/thesis, or any other academic paper for a proofreading or editing service, simply send us the document your want to edit or proofread, either by email or submit it via the submission form available on our website below. Emailing your paper to us is simpler and we prefer it. Please specify your deadline, referencing style and whether you need your document to be proofread/edited in British, American or Australian English. If you are taking our in-depth academic proofreading service, please inform us of your preferred referencing style and any other specific instructions you would like our editors be aware of while working on your paper. Pay: Once you have sent your manuscript through, we will send you a finalised quote and all other details required via email. If you are happy to proceed, we will then send you a safe payment link through which you can complete the payment in order for us to assign your document to the best suitable editor/proofreader based on your specific academic discipline. Deliver: We will deliver two copies: a clean finalised proofread/edited version ready for immediate use and a track-changed copy for you to see what the proofreader or editor has changed in your document. What is in-depth dissertation proofreading service? Our in-depth academic proofreading and editing service is a thorough and extensive review and correction of your academic manuscript. You will see a massive improvement in your essay, dissertation/thesis, journal or any other academic manuscript in terms of English usage, tone and style. Many Master's and PhD students get extremely stressed when they are requested to submit an essay to their tutor or supervisor or when they are working to finalise and submit their thesis or dissertation paper for assessment at the end of their academic study. If you are one of those and you cannot proofread your dissertation yourself and need a professional editor to do it for you, no need to be concerned, because we provide a complete set of proofreading and editing services that are tailored specifically to help researchers and postgraduate and undergraduate students in your situation, especially if you are a non-native speaker of English. Our aim is simply to help you get all those marks allocated to the usage of English language and academic writing. Our services are designed by field experts, former professors and academic specialists, who know exactly what your supervisor or university would like to see in your paper. 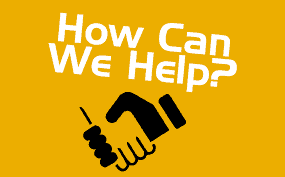 In what ways we can help you? Reputable publishers of peer-reviewed academic journals set high and strict language requirements for aspiring authors. Elsevier says that between 30 and 50 percent of articles submitted to it for publication are rejected even before reaching the stage of peer review and a key reason for this is “poor language”. We provide a dedicated editing and proofreading service for peer-reviewed journal articles. It is a forensic, rigorous and expert service focused purely on correcting and improving your article to meet the criteria set by your publisher. We have helped a large number of researchers, academics, scientists and scholars get their academic manuscripts published in world-renowned and reputable academic journals, including Nature, Science the Journal of Finance and the Lancet. In addition to our dissertation proofreading and essay editing services, we provide a professional academic rewriting and paraphrasing service. This service is provided to students and academics who need to cite from other sources of literature and require a paraphrase so as to avoid falling in the trap of plagiarism - which is an extremely serious offence in academia. 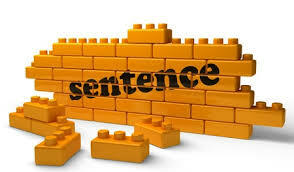 Our paraphrasing service is delivered by highly-qualified and skilled paraphrasers and text rewriters who will expertly and professionally rewrite and paraphrase your original text employing a different structure, different words and different style, whilst maintaining your original intended meaning in the final paraphrased version. Need help with paraphrasing? Drop us a line. While writing your book, be it fiction or non-fiction, some typographical, grammatical or punctuation mistakes are likely to slip into your written draft. More problematic in your book, though, will be any broken narrative, inconsistency, structural gap, contradiction or wordiness, hence the importance of getting your book copy-edited. We, at the Ultimate Proofreader, have specialist book proofreaders and editors with a great eye for detail. 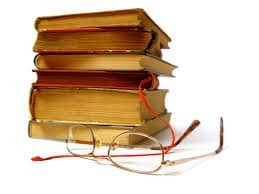 Our native English proofreaders will ensure your book has no grammatical, punctuation or spelling errors and our book editors will copy-edit - through critical lens - your piece of work in depth for clarity, coherence and consistency. We provide three levels of proofreading and editing services for book authors, script writers and playwrights which are reasonably and affordably priced. If you would like to test our book proofreading and editing services quality first, we offer a free sample option. Two different editors will each provide a copy, in order to give you more choice. Clearly-written, error-free communication - be it a letter, press release, report, or website content - is paramount for your business to succeed. The proofreading of legal documents, including contracts, deeds and wills for instance, is an absolute necessity if you want to protect your reputation and win new clients. Conversely, poorly written communication rife with English language errors will, at best, turn potential clients away and reflect badly on your business. A simple language mistake in a written copy can land companies and businesses in embarrassing or indeed serious situations. Written: "The company has therefore decided to contract your services." Intended: "The company has therefore decided not to contract your services." For this reason, we provide bespoke business editing and proofreading services delivered by dedicated business proofreaders and editors who will ensure that your text is written in flawless English and in the most powerful way in terms of both shape and content. We serve clients in the UK and around the world. So, if you are a business, company or institution of any size and is interested in trying our services, you can send us a sample for any of our editing or proofreading services. It is totally free and with no obligation whatsoever. We provide our proofreading services for marketing and PR companies, translation offices, law firms and other commercial businesses. The first: Presenting a badly written CV and cover letter full of typos, grammatical errors or spelling mistakes. Whether it is a CV, cover letter or personal statement, we can help with our CV proofreading services, which will help make your CV and cover letter shine through. 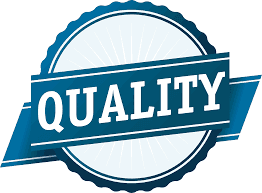 1-Quality is our number one priority: we provide the UK's genuinely best proofreading services & editing and paraphrasing services. Unlike other proofreading services providers, we truly believe in QUALITY, so we pay maximum attention to your paper, word by word, sentence by sentence, line by line and paragraph by paragraph. Once your document has been proofread or edited thoroughly and meticulously, it then goes through a more rigorous level and process of quality assurance involving a comprehensive second review by another senior editor, before delivery. The Ultimate Proofreader is committed to delivering the best quality English proofreading services to clients in the UK & worldwide. Our unparalleled and genuine focus on quality has put us at the forefront of the industry. 2 - Top-notch proofreaders & editors: we have a team of outstanding native English proofreaders, editors, reviewers and rewriters who have decades of experience. With a keen eye for detail, they are the best in the UK at what they do. We use only human copy-editors and proofreaders; we never use any online word processors or robot editors. We ensure that accepted rules of grammar and syntax and English usage are followed, including pronoun-noun agreement, subject-verb agreement, appropriate verb tense, pronoun case, possessive forms, parallel construction, among other language aspects. 3 - Value for money: all our proofreading and editing services as well as paraphrasing services are reasonably and affordably priced. What makes us special and stand out from all other editing and proofreading services UK providers is that we provide a much better quality at cheaper and more affordable prices. We charge a flat rate, whether your document is complex or non-complex; technical or non-technical; short or long. Our prices start from £9.50 per 1,000 words, and we also offer a 10% discount to all first-time clients. 4 - Fast turnaround: our services are completed and delivered within fast turnaround times, without compromising the quality of proofreading and editing. We are aware that students in particular can sometimes have a very short deadline to submit their essays, dissertations/theses or any other scholarly papers and therefore need their documents proofread and edited urgently. While we aim to deliver assignments as quickly as possible, the editing and proofreading of your manuscript up to the highest standard remains our No 1 priority. On average, we can proofread and edit up to 10,000 words within a full 24 hours per single client, but for more urgent assignments with short deadlines or precise delivery times, please contact us via email. 5 -Trust & reputation: we are a reliable and trusted proofreading and copy-editing service provider, with a wide network of clients spread across the world: the UK, the US, Australia, Canada, Malaysia, Indonesia, Japan, China, Romania, Saudi Arabia, the Netherlands, Thailand, Sweden, Germany, Switzerland, Oman and Kuwait. 6 - Punctuality: we are meticulously committed to our clients’ deadlines. We apply a 100% punctuality policy. 7 - Around-the-clock assistance: we are available 7 days a week, throughout the year. So, whenever you need any help from us, you will always find us ready to assist the best we can. 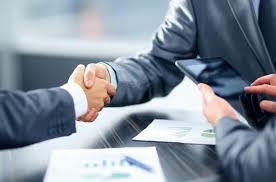 8 - Friendly service: we love to interact with our clients. We answer questions and respond to comments at any stage - whether before, during, or after the completion of the assignment. 9- Confidentiality: We have a very strict confidentiality policy in place. All manuscripts and papers proofread and edited by us are removed altogether from our systems upon delivery to clients. Our aim is to ensure our clients' manuscripts remain 100% safe and secure, from the moment an order is placed until it is delivered. We try to make the process of ordering proofreading, editing and phrasing services as easy and straightforward as possible. So, if you have an essay, dissertation, report, article or book and would like to place an order for any of our proofreading services, editing or paraphrasing services, please follow the following steps. 3) Payment details (we accept payment via PayPal or bank transfer). Once payment has been made, the job will be assigned to an editor or a paraphraser, as relevant. You will get your document proofread or rewritten back from us by the agreed deadline by email. You will receive the document in two copies: one with changes marked to show you what has been changed by the editor, and another clean final version that is ready for immediate use and submission. "Thank you for the kind help last day with my thesis. Your advanced dissertation proofreading services made my supervisor like so much my paper," Dan, PhD student. "Due to your help during last semester, I have got good marks. Thanks. I have some academic assignments for this summer semester, I would like to ask your intensive dissertation proofreading services again," Kwon, PhD student. "You guys give best dissertation proofreading services uk...thx for the great help," Karwan, a Master's degree student. 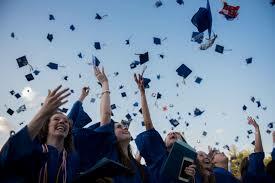 "Your editing and academic proofreading services assisted me to higher grades. I recommended especially your in-depth dissertation proofreading service which are excellent," Kymai, PhD student. "I found the Ultimate Proofreader to be fast, efficient and thorough. They turned my urgent little job around in less than three hours. Brilliant!" David M. H., book author. "I searched a lot for a really professional law proofreading services provider as I study in the UK. The Ultimate Proofreader is honestly the one I needed. I particularly like their marginal annotations," Kesmat, a Master's degree student. "This is an invaluable insight into this particular translation proofreading assignment.. Also, I found your markings very useful and professionally done. They helped me with proofreading and editing my Arabic translation services." Kamil, a UAE-based translation company owner. "The Ultimate Proofreader people are really revolutionising the proofreading services. industry: quality, excellent customer service, speed. They have helped me get my paper published in the Journal of Asian Ethnology," K. M.
"I have seen the internet reviews of the ultimate proofreader proofreading services and they were really. Gave them a trial. Really excellent dissertation proofreading services. They rewrite if needed, very helpful editors," Ihsan Soliman. "I tried several companies before I stumbled upon the Ultimate Proofreader. All I can say is that once you have tried their intensive academic proofreading services, you will stick with them for the future. Their after-sale service is great," Mohamed, academic writer. 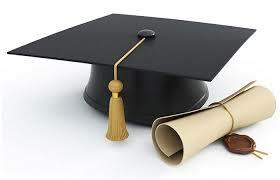 "The Ultimate Proofreader is an excellent dissertation proofreading and editing UK agency. 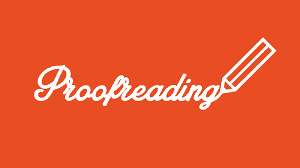 I did use many other English proofreading services companies but honestly this is the best proofreading services, company I have dealt with," John M, a freelance author & writer. If you have any other question that is not answered here, do not hesitate to write to us and we will be happy to answer. We provide our clients with 24/7 support and assistance. Q - Where is the Ultimate Proofreader based? A - We are based in the UK. Q - What academic services do you provide? A - We provide four main services: proofreading services; editing services; rewriting services; and English text reduction services. Q - What are the turnaround times for the proofreading services & editing services & rewriting services? A - Our average delivery times are detailed below, but get in touch with us for more specific turnaround times. Q - Is it easy to pay for the services? A - It is quite easy and straightforward to pay for our services. The safest method of payment for us and for you too is Paypal. However, if you prefer, you can pay us via bank transfer. Q - Are your proofreaders and copy-editors native speakers? A - We only employ highly qualified native speaker proofreaders and copy-editors with many years' experience, subject knowledge and relevant background. All of our editors and proofreaders are native speakers of English with MA and PhD qualifications. Q- How confidential is your service? A - We apply a strict confidentiality policy to ensure your document remains secure from the moment you send it to us until we have sent it back to you. Only the task manager and the proofreader, editor or rewriter will have access to your document. Once sent back to you and you are happy with it, we will remove your manuscript from our systems. Q - Why should I choose your service? A - Unlike other bogus essay and thesis proofreading services providers, we offer genuinely top-quality dissertation editing and proofreading services at cost-efficient and absolutely reasonable prices. So, we basically give you a much better quality for less. Additionally, we have the UK's best proofreaders, editors and rewriters. We constantly achieve 99.9% customer satisfaction. We can also do a sample of your document so that you can test our quality without any obligation whatsoever. Q - Do you write dissertations/theses or essays? A - We are a specialist academic proofreading and editing services UK-based provider. We proofread, edit and improve essays, dissertations and other scientific and academic papers, but we DO NOT write dissertations, theses or essays. We usually advise that you - as student or academic - should write your own dissertation/thesis or essay. Then you can get it professionally edited and proofread. That is safer than using a paid third-party company to write it for you. Q-Do you use software or tools to proofread my academic paper? A- No. We do not use any tools or software for proofreading or editing or any of our services. We use human editors, real academic language experts with an eye for detail. To clarify, we do our work manually to ensure high quality and accuracy. Q - Do you have editors and proofreaders with expertise in scientific subjects and other fields? A - Yes, we have subject-expert proofreaders and copy-editors. We have edited and proofread thousands of dissertations, essays and journals in various scientific and non-scientific fields. Q - Do you charge for reviewing a second draft of my paper if my supervisor asked me to make changes? A - If the changes introduced in the dissertation or essay are minor, we do not charge you again. However, if your supervisor requests changes that involve deleting and adding new sections to your paper, in this case we will charge you only for the new added parts. Q - What if my supervisor is not satisfied with my paper and asks for additional proofreading and editing? A - If your supervisor is not entirely happy with a manuscript that we have edited and proofread, we will review it again for you at no cost. But any specific comments from your supervisor will help us to know where the problem is and fix it. 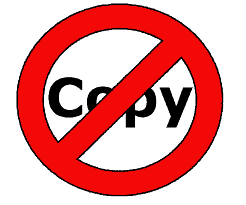 Q - Do you check for plagiarism in my thesis/essay/dissertation as part of your proofreading and editing services? A - This level of our advanced dissertation proofreading services does not include checking plagiarism. Students usually use Turnitin to check the similarity rate before sending us the final draft of their essay, journal or dissertation. Q - What if similarity is too high in my literature review? A - If you find that there is a high similarity rate (plagiarism) in the literature review section of your thesis, we do offer a professional paraphrasing/rewriting service in which we rewrite the parts with a high similarity rate professionally so that your paper can pass through the plagiarism detection software successfully. Q - Are your prices inclusive of VAT? 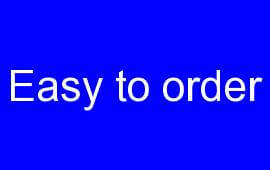 A - All our quoted prices are inclusive of VAT. You will not need to pay any hidden or extra fees. Our pricing policy is fair and transparent. Q - Why should I trust you? 3- Send us a 100-word sample of your essay or dissertation and we will do it for free. Q - Will your proofreader & editor implement the language-related changes he or she suggests in the copy or do they just highlight them and expect me to do implement them? A - All changes, amendments and improvements required in your dissertation/dissertation or essay will be introduced and implemented by the editor. We are a premium provider of dissertation proofreading services to clients in the UK, the US and across the world. We are based in Reading, close to London. Our dedication to excellent editing and proofreading quality and unique customer service have enabled us to grow massively until we have become an English language proofreading services provider that is trusted and rated the best, not by hundreds, but by thousands of students, academics, businesses, professionals and authors. We are also a highly reputed paraphrasing services UK-based provider. In other words, we also believe that our task goes beyond the mere improvement of the language and style of writing to an informative, insightful, and educational service. For this reason, we provide feedback, as appropriate, on the areas of language that need to be worked on. Additionally, we have created a blog on our website that is purely dedicated to language-related matters. We strongly believe customers who pay for proofreading services deserve to the greatest value for money. They deserve services of a quality and standard that are really immaculate. Based on this, it was vital for us as a business offering proofreading services to UK and international clients to price our services in such a way to make them cost-efficient and cost-effective and above all affordable to buy. We are not the cheapest, nor are we the highest-paid service providers; our prices are just set in proportion to the amount of time and effort we put into our clients’ texts. So, we do not overcharge our clients, or undercharge them, as some poor-quality service providers would do. To put it simply, our ultimate goal is to offer you the greatest value for your money. Our pricing policy also takes into account the fact that there are certain clients, such as students, who often have a very tight budget but who are still keen to benefit from our proofreading services. In addition to the reasonable pricing of our services, for first-time clients, whether professionals, businesses, students, academics or book authors, we offer a 10% discount. We fully appreciate that time can be a highly critical factor for our clients who may need speedy delivery of proofreading services. Although we try our best to complete assignments within fast turnaround times, we never forsake quality for speed.For us, priority always comes first. Unlike other editing and proofreading service providers, our proofreaders and editors may spend one or even two hours on a single page to correct, revise and improve the text. We do not work on an hourly basis; we give every document we receive all the time and care it needs, no matter how much time or effort we put into it. Our ultimate goal is to produce a text that is proofread or edited to a high standard that would help our wide range of clients achieve their desired results. Having said that, we are very strict with meeting deadlines by making sure that we have proofreaders and editors available 24/7, ready to step in when needed. We understand how important it can be for clients to receive their documents back urgently. The Ultimate Proofreader prides itself on having a very experienced team of proofreaders and editors who help us deliver those sterling dissertation proofreading uk services to our clients in the UK, the US, China and many other countries. Our aim is to help academics and students, particularly non-native speakers, to learn and improve their knowledge about the use of the English language for academic purposes. We can be reached by email ([email protected]) or by phone (07717750188), around-the-clock. Read how our clients reviewed us on Trustpilot and Yell.